Be able to predict the types of earth surface features that might be present when given the type of plate boundary. Example - what would you expect to find at the boundary between: a subduction zone, divergent seafloor plates, convergent continental plates and/or transform plate boundary. 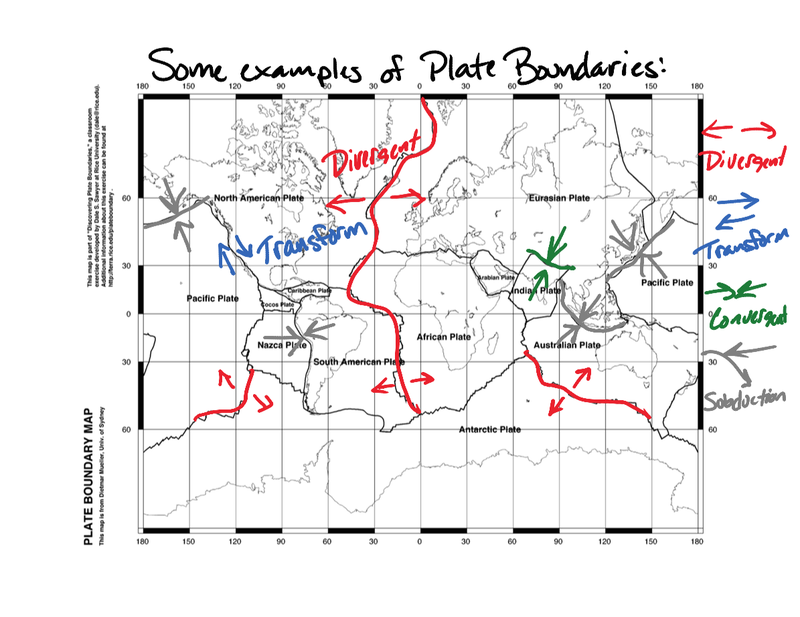 The pictures identifies examples of different types of plate boundaries, you should be able to predict what occurs at these boundaries based on the maps you've made in class. 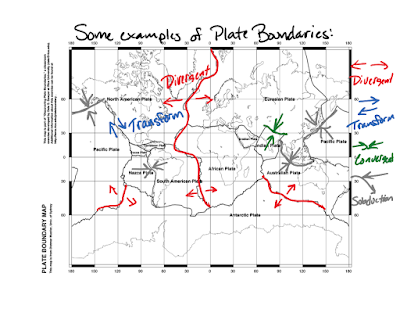 For next weeks test, also plan on being able to identify different plate boundaries (convergent, divergent, transform), i.e. use the picture to help in preparation.